Hide Enomoto is one of Transition’s true pioneers, who also happens to be a lovely guy and, as was discovered at the 2008 Transition Network conference, a wizard with a football. One of the drivers behind Transition Japan, he recently visited Transition Network’s office in Totnes, proudly clutching the just-published Japanese version of The Transition Handbook (トランジション・ハンドブック). I took the opportunity to catch up with him about how Transition is evolving and developing in the Japanese context. His first exposure to Transition came in 2008 when he was living at the Findhorn Ecovillage in Scotland, looking for ways to engage existing communities in more sustainable practices, rather than feeling they have to start up a new eco-village from scratch. At the Positive Energy conference there, I gave a talk, which inspired Hide to come to that year’s Transition Network conference in Cirencester. In the closing circle of that conference, Hide stood up and announced, to great cheers, that he was going to go home to Japan and try and kick Transition off there. So what, I asked Hide, has happened since then? “After 5 years, we now have 41 Transition initiatives all around Japan. Transition Fujino, which I’m involved in, has lots of projects going on. One of the highlights of the Transition movement in Japan is that it has become an antidote to the despair that was widely spreading after the 3/11, the earthquake, tsunami, nuclear disaster, the triple disaster that happened two years ago. What does that look like in practice? What were some of the responses? In Transition Fujino, we have set up something called the Fujino Electric Company. Even though we call it a company, it’s not a legal entity, rather it’s a company of people. 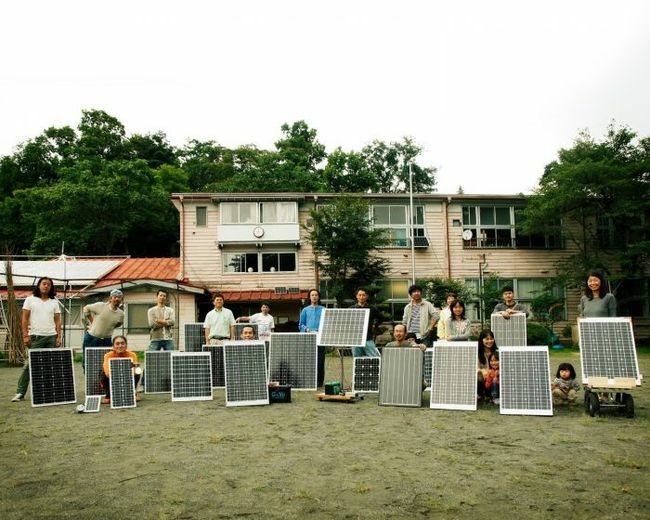 Some of the things that we do involve creating a mini solar system workshop where we invite people from all over Japan and teach them how to connect solar panels and batteries and cables and everything to create electricity. That attracted a lot of attention nationwide, including in the media. They saw that people had never thought about this before 3/11, they’d never thought about creating their own electric company but now are starting to see that they can. You can start small, and setting up a mini solar system is not a big deal. But what I see in those workshops is that when people finally connect all the cables and see the lightbulb go on, their face lights up. That’s the kind of empowerment we want to see because it’s people moving from a state of not feeling able to do anything about it to thinking that they can do something about it. Helping people move from that stage to the other stage is crucial. It’s crucial in any sense but especially after this huge, tragic event happening in Japan, people need to find a source of empowerment to live in sanity, basically. There was a woman, part of this local currency group who had just moved to Fujino after the tsunami hit the town, in North-East Japan. She said that she wanted to do something about her community where her relatives and friends live. Soon afterwards, she had thrown this idea out onto the mailing list of the local currency group. People started to collect all the clothing and money and all the things that might be useful for this tsunami-devastated area. There were some events where people offered to bring their skills and fundraise, donating to the area. There was also an interesting thing that happened, which was the fans and heating devices. People who have been affected by the tsunami by then had moved to temporary housing, which becomes very hot in summer and very cold in winter, but they didn’t have any cooling or heating devices. We had to find the exact same fans and heating devices for all these temporary houses because it was managed by local government and they were operating under this ‘fairness’ principle. It was hard work to collect all those things in a short period of time but we managed to do that and people were happy, and we even got a letter of gratitude from the Mayor of that town. How has Transition adapted to Japanese culture? There were some adaptations but that was quite subtle, I think. The fact that we were not attached to the word Transition made a difference, because when we talk about Transition people say “why do you need to introduce a foreign concept when there are a lot of great sustainable practices already in Japan?” I didn’t get into a debate with those people, I said “yes, you’re right”. Japanese people are often not good at coming up with a model or coming up with the steps to be able to share what they had done. But now we have this principle and these steps, the ingredients to make it viral. Now that we are addressing a global issue, like peak oil and climate change, it’s really helpful to connect with one another. We’ve been inviting the people who are working on those sustainable practices to become part of our network. The name Transition is not as important as creating this network and sharing what we’ve been doing and what can make the community sustainable. A lot of people have said “yes, we’ll join you”. Did 3/11 bring out the best, or the worst, in people? You’ve probably seen some news with the responses that emerged after this tragedy. I hear that a lot of people overseas were quite impressed by how Japanese people gathered to support people in an area devastated by all these events. I think the spirit is there always, and I think the Transition movement is actually helping to get in touch with that compassionate side that each human being has. We stress the point that it’s not about motivating by fear, but is more about motivating by the vision that we want to create. That’s something that speaks to people, because they don’t want to come from fear. When we talk about having fun while we go through these transitions, people say “oh, you can have fun making these transitions?” That’s a new idea, and one that appeals to the Japanese people. There’s such a fear, as a result of this tragedy, so people don’t need an additional dose of fear or despair, they need something positive. This Transition ethos is what, in my opinion, people are looking for. What’s your vision of where all this might go? 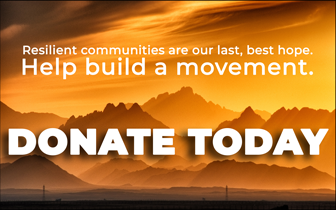 We’d definitely like to see more Transition initiatives emerging throughout the country, and we’d like to find a way to work with local government and maybe national government to make a bigger impact. Also in terms of the economy, I think we need to find a way to help people who are really wanting to make a transition and get involved in Transition so that they can make a living out of being engaged in the Transition movement. Some people in Transition Fujino are actually starting to make a living out of being engaged in a movement like the Fujino Electric Company, but we want to find more ways to support people to make a transition it’s not useful to live a life which is divided into 2 pieces, where you make a living doing something you don’t really believe in, and then spending your spare time on a voluntary basis doing what you really believe in. There’s a big split between those two, so if we can merge them I think it would be great and I’d like to find a way to make that happen on a wider scale.